Traffic circles, rotaries, roundabouts — call them what you wish, but get used to them. The popularity of roundabouts in the United States has increased in the last few decades, and they’re not going anywhere anytime soon. Roundabouts are recognized across the board as one of the safest types of intersections a city can have, but that’s not the only reason they’re popping up more and more frequently across the nation. 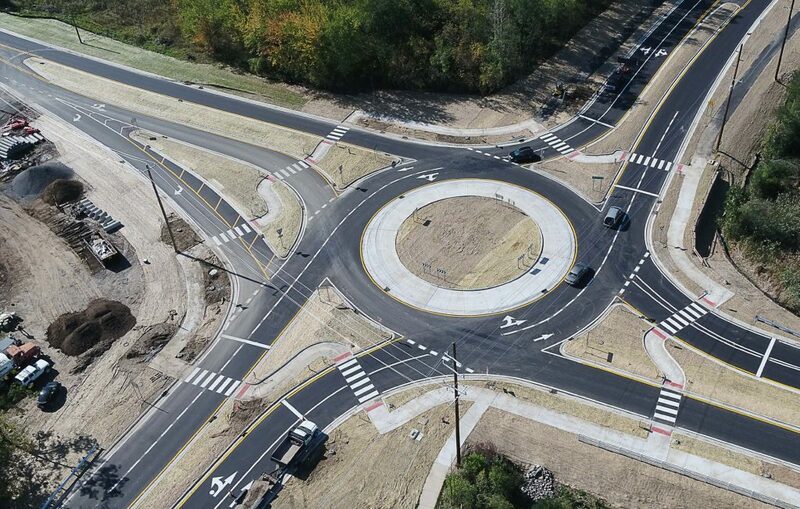 According to data from the Federal Highway Administration, the conversion of signalized intersections to roundabouts not only decreases traffic-related fatalities by 90 percent, but increases road capacity by 30 to 50 percent. Minnesota Department of Transportation Safety Planner Derek Leuer agreed, citing the construction of the roundabout itself as the reason behind the safety benefits. 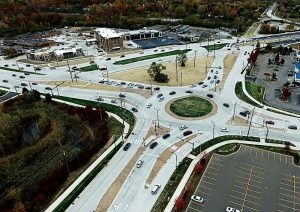 While some states are just starting to enter the realm of roundabouts, others have long been implementing the practice and have it down to a science. 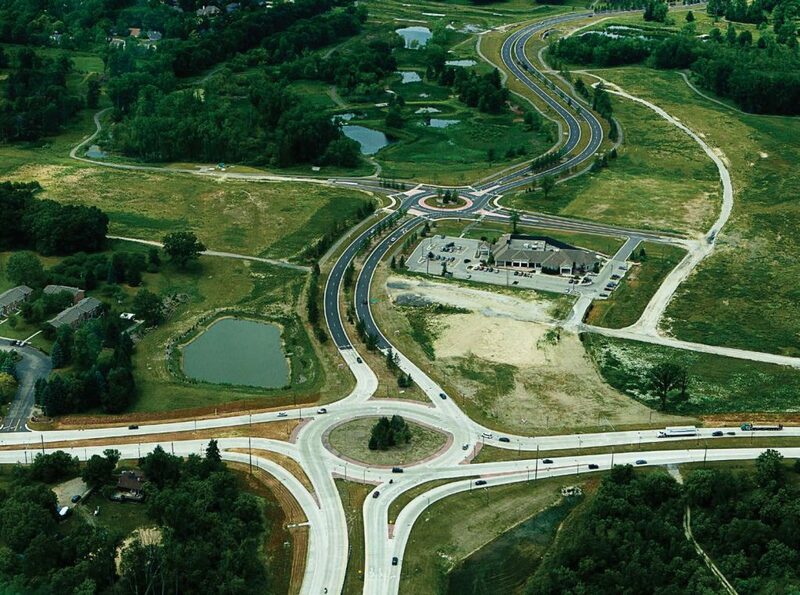 Bryson said Oakland County now has 22 roundabouts, and they started constructing them in 1999. Minnesota is newer to the roundabout game, but Leuer and Bryson agree: the cost of roundabouts isn’t significantly different than signalized intersections. Leuer explained how many cities can work with what they already have to keep the cost of roundabout implementation lower. “While one of the biggest hurdles is cost, if you have a large intersection that’s already built that you need to reconstruct anyway, it costs about the same to turn that into a roundabout,” he said. 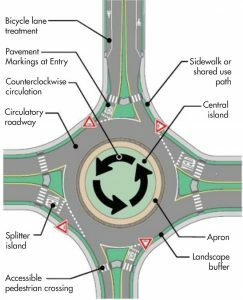 Factors such as safety, natural life of the intersection, traffic volume and characteristics, the land around the intersection and daily usage are taken into consideration when determining whether a roundabout is the right fit. Once construction begins, Leuer said, an education campaign is launched to teach the community how to properly and safely use the new traffic feature. On a larger level, both Bryson and Leuer noted programs designed specifically for senior citizens and new drivers that teach roundabout driving and safety. Minnesota implements many of the same practices, and Leuer said as the years go by, residents have grown more fond of roundabouts. While roundabouts are a functional necessity, they can also serve as a beautification element in communities. These efforts are typically created and funded by communities themselves. It’s not uncommon to see signage, sculptures, small gardens and other landscaping efforts at the center of local roundabouts. With the increasing popularity of the traffic feature, Leuer cautioned cities to use the resources they have and realize bigger isn’t always better.